TOUR GUIDE RESPONSE: Sorry you were so disappointed. You seemed extremely happy with the botanical garden and the food at the restaurant. It was the busiest I've ever seen it. The drive to see the recent flows is what it is and everyone seems amazed and impressed. Yours was the worst and only bad rating and review I've gotten in 10 yeears of giving tours. Just weeks before our trip to Hawaii, our tour guide for the big island closed operations. In our search for a replacement we came across Tours by Locals and Laurence. He agreed to be our tour guide on short notice. Laurence is the consummate tour guide. He took us to what we wanted to see and more. His knowledge about the island is outstanding. Since it was just us and Laurence, we were able to go places where the big tour companies can't. We recommend him highly. TOUR GUIDE RESPONSE: Andrew, Mahalo for the great rating & review. TOUR GUIDE RESPONSE: Thanks Rex for the great rating and review! What an amazing tour! Laurence took us to all the places we requested and more. His passion for Hawaii is evident, as is his knowledge of the language and history of the island. I highly recommend this tour! TOUR GUIDE RESPONSE: Jeannette, Mahalo for the great review and rating! Laurence was a wonderful guide, with lots of local knowledge, and great flexibility. His knowledge of Volcanoes National Park area was exceptional. It was a wonderful day trip. Laurence was brilliant, fabulous tour, would do it again. TOUR GUIDE RESPONSE: Thanks Charles for the great rating and comments. I enjoyed my time with you. TOUR GUIDE RESPONSE: Mahalo nui loa for the great rating & review! TOUR GUIDE RESPONSE: Mahalo for the 5 star rating. What a GREAT day. This tour was fantastic. We even experienced two earthquakes. Laurence had the day very organized and there was absolutely nothing he did not know about Hilo. We got to visit places that the locals hung out and loved it. This was the best tour we have been on. Laurence is very easy going and made us feel relaxed in asking him questions and not hurrying us along if we wanted to stay longer at a site. He is the best! TOUR GUIDE RESPONSE: Mahalo for the great rating & review! Our 8-hour tour with Laurence was relaxed but consistently interesting, especially in retrospect, given that some of the areas we visited were the site of volcanic eruptions the very next day. Laurence is an excellent guide--we recommend him highly. Laurence was a great guide. We were 3 couples looking for a tour mostly focused on volcano related sites but flexible to do anything else that sounded interesting. We had a great lunch with Laurence at a place he was familiar with and added in a stop at a local coffee shop/mill. Tour was 6 hours and he did not run out of interesting facts about the local area, volcano, coffee, agricultural, music facts and stories, and Hawaii in general. One of the highlights of our trip. TOUR GUIDE RESPONSE: Mahalo for the great rating & review. Laurence was knowledgeable about Hawaii, informative, pleasant and a very good guide. We enjoyed his tour. TOUR GUIDE RESPONSE: Thank you for the great rating and review! A great day. Laurence met us at the doc in Hilo and took us on a wonderful tour of the area. I use a wheelchair and he was very considerate of driving by some sites and parking in others where I had a view while my husband walked around. Laurence obviously loves Hawaii, which makes the tour special. He gave us information and about plants, trees, terrain. We went to a nice small local restaurant for lunch. We wished we had more than the one day on shore from a cruise. TOUR GUIDE RESPONSE: Thank you for the great rating & review! Lawrence was an excellent tour guide. He is well-versed in Hawaiian culture and the Puna/Hilo area. He took us to a number of amazing places and we learned a great deal from him. The lava tubes and volcano are "must sees." He made my husband and I feel very comfortable and he answered all of our questions. I would highly recommend this tour. TOUR GUIDE RESPONSE: Thank you for the great rating & comments. Every moment with Laurence was informative and pleasant. He taught us names of trees and flowers, guided us through the through the rainforest and Akaka waterfalls, pointed out best spots for photos, explained the action of the volcano, explained the Hawaiian culture, introduced us to many Hawaiian words, and took us to eating spots with delicious, inexpensive food and drinks. Laurence is intelligent and genuinely nice. An excellent tour guide who gives above and beyond the call of duty. TOUR GUIDE RESPONSE: Mahalo nui loa for the great rating & comments, one of the best ever! Laurence was a fabulous guide. His love of Hawaii is overwhelming! His knowledge of all things Hawaiian was amazing...he definitely kept us entertained and informed. I would highly recommend him! TOUR GUIDE RESPONSE: Mahalo Debra for the great rating & review. Great tour, five stars ! TOUR GUIDE RESPONSE: Mahalo for the great rating. Laurence did a great job of introducing us to Hilo when we only had a short time window. He took us to some great spots that were more local and not crowded. He also did well engaging with the children in our group as well. Laurence was super knowledgeable, friendly, flexible, knew a lot about the native flower and fauna, and took us to an awesome place for fresh fish - and he even drove between rain clouds! It was a wonderful day!! Highly recommended!! Lawrence was a great guide. He was friendly, relaxed and knowledgeable. Not only that, he tailored our day to suit our needs. Our family had an amazing day jam packed with the sights of Hilo. Highly recommend this guide. TOUR GUIDE RESPONSE: You are most welcome, thank you for the great rating & review! This full day tour provided us with great and magical insight into the beautiful world of the island of Hilo. It's natural beauty and diversity was breath taking. Our guide, Laurence now considered a local, provided us with the best experience possible. The tour was informative and provided us with a day focused on our interests. The tour day was comfortably managed and well coordinated. Best of all, it also including some time for surfing ! One of the best full day tours we have had ! TOUR GUIDE RESPONSE: Mahalo for the great rating & comments! It was so refreshing to see parts of the island that only a "local" could share. Laurence was so enthusiastic about sharing with us and was able to take us to places that were not offered on other tours. It was truly a special day for us. We are looking forward to a return visit! TOUR GUIDE RESPONSE: Terrance, Mahalo for the great rating & review! Perfect in every way. Laurence listened to our needs and ideas, made suggestions, and constantly modified the day according to our wishes. He shared his vast knowledge in many Hawaiian customs, nature, and history. We saw many things off the beaten path, and came home with smiles on our faces! TOUR GUIDE RESPONSE: Mahalo Steven for the great rating & review. I had 2 tours earlier this month with Laurence. 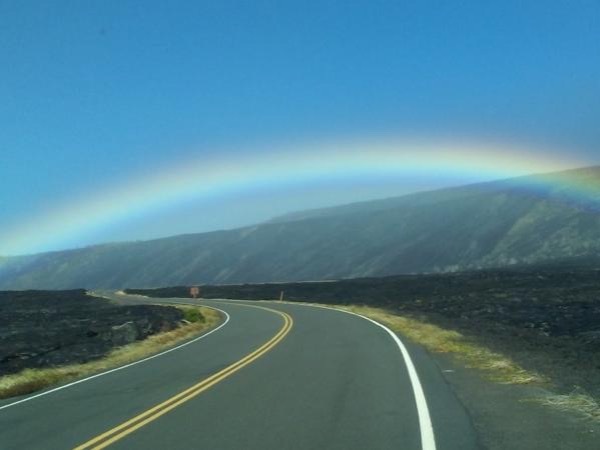 Both tours started from Hilo on The Big Island of Hawaii, and both were most enjoyable. Laurence is very knowledgeable and passionate about his tours and what he does, and it was a pleasure to discover we had a number of common interests. We toured the island of Hawaii recently with Laurence. He was promptly waiting for us and eager to get our tour started. He was very knowledgeable about the island - its culture and history. We visited Volcano National Park and learned a lot from his expertise. He was wonderful with our 5 kids and took us to some wonderful spots for them to see different areas of beaches and swim. He taught us all about the fruits and trees of Hawaii and took us to pick berries. If I could give 6 stars I would. Laurence was a pleasure to get to know and he modified the trip for our requests. Our favorite part of the trip was the Volcanic warmed pools! Definitely the best place to relax and end the tour with. Volcano National Park is beautiful! He is very knowledgeable to Hawaii's history as well as plants, animals and music. Lunch spot was wonderful!! Highly recommend!! Pretty sure he may he Jimmy Buffet's long lost brother of the Pacific! Aloha! TOUR GUIDE RESPONSE: Mahalo for the great review! Funny u should mention Jimmy Buffet....a friend of mine thinks I look like his twin brother and we actually have s lot in common. You guys were great...u have 2 really awesome daughters. We had a great time with Laurence, and saw far more than tour groups from the cruise line. We were even able to go for a swim at a hot spring park! We had him leave us at his favorite restaurant for lunch and took Uber back to the ship, so we could explore the town a bit. Laurence was an outstanding guide for the day. He knew exactly where to take my wife and I. Highly Recommended. This was truly a 5 star tour! We thoroughly enjoyed meeting Laurence as he shared his knowledge of the area around Hilo. Highlights included a stunning garden, waterfall, local restaurant, roadside fruit stand, local bakery and beautiful hidden ocean views. These are things we never would have experienced on a typical cruise ship shore excursion. Many thanks for an enjoyable day! 5 stars. Laurence was THE BEST tour guide. So many fabulous locations off the beaten path. So much knowledge and honor for the culture..absolutely immersive. TOUR GUIDE RESPONSE: Dale, Mahalo for the great rating and comments! We got to see red lava bubbling in Volcano National Park! That has to be a highlight of our Hawaiian trip. Of course the fumes forced us into Jagger Museum. We spent most of our time in or around the park which made everything perfect. We made a stop to order orchids and ate at a local cafe. TOUR GUIDE RESPONSE: Thank you for the great rating & review. LAURENCE is top of the line, primo, A-1, "JUST THE BEST" !!!!!!!!!!!!!! Had an amazing tour of Volcanoes National Park, the Hilo area, great local beaches and restaurants, our own driver and best of all added a friend. TOUR GUIDE RESPONSE: Joyce, Mahalo nui loa for the great rating & review...the record! Laurence's love of Hawaii and especially the Big Island shine through in his tour. He took us to special places that he especially loves. He also took us to buy the cheapest Kona coffee and to his favourite lunch place. He was relaxed and most helpful to my Mom who uses a wheel chair. All in all, we couldn't have spent a more enjoyable 6 hours. Many thanks Laurence. TOUR GUIDE RESPONSE: Judy, mahalo for your great rating & comments! The tour was fantastic! Loved Lawrence. He was so flexible and showed us many out of the way sights. 5 out of 5. TOUR GUIDE RESPONSE: William, Mahalo for the great rating & comments! We undertook a day tour with Laurence at Hilo Hawaii on Tuesday 29th November. We were very impressed with Laurence and had an absolutely wonderful day. He is very knowledgeable on the history of the area and we were fortunate to see areas not visited by the tourist coaches. We can highly recommend Laurence should you be visiting Hilo. it was excellent, thanks Laurence!! We spent two days with Laurence as our guide (he was really more like our host). He was WONDERFUL!! His love of his island comes through. He took us to out-of-the-way places that were really fun. His knowledge of the flora, the history, the culture, and the language of Hawaii made our time with him very special. We would recommend him without reservation to anyone who wants to visit the "Big Island". Laurence was very knowledgeable about all things Hawaiian - loved the botanical gardens and Mr. Eds jam shop - great day! TOUR GUIDE RESPONSE: Mahalo Kerrie for the great rating & teview! Lawrence was knowledge and agreeable to modify our stops depending on what we wanted to see. I felt we got not only the history of Hilo and its beautiful geography but also a perspective of someone who lives and LOVES the island . My only "negative" feedback related to his vehicle which held on;y 4 passengers and would of like more space, as there were 4 ladies. I may have overlooked this element when booking our tour. Extremely personable guide, a fountain of information about the fauna, history, Hawaiian language and culture. He was super accommodating and tailored the tour to our interests. Knows a lot of off the beaten path locations. Knows area food, beaches and warm springs. Laurence is easy to talk to. His tour was as he described and he was waiting for us on the wharf. He was considerate and knowledgeable. TOUR GUIDE RESPONSE: Thank you for the great rating and comments. Best regards & Aloha, Laurence. Laurence knows Hilo. I recommend him 100%. If you want to visit great sites in Hilo. Some of these places not crowded by tourists, Laurence is your guy. TOUR GUIDE RESPONSE: Mahalo/Gracias Julio! TOUR GUIDE RESPONSE: Susan thank you for the 5 star rating! Laurence was very accomodating to making some changes due to our short day off the ship in Hilo. The day went by way too quickly, we thoroughly enjoyed it all. Mahalo nui loa Laurence and Okole maluna! We arrived at Hilo via cruise ship and Laurence was waiting there at the terminal when we disembarked the ship. He made the day there absolutely fantastic. He was incredibly knowledgeable and friendly. We were able to tailor the day to what we wanted to do/see and Laurence was able to help accomodate! (Even took us to one of the best Mexican restaurants on the island). If we went back we would definitely book with Tours By Locals again! Highly recommend! TOUR GUIDE RESPONSE: Mahalo nui Allanie for your great review and comments! All the best to you and your family. This tour was fantastic!!! No words to explain how beautiful was this trip with Laurence. I keep thinking about him and I am so happy that I found this opportunity to visit the Big Island. We saw so much during our visit. Laurence is great! He is super friendly, knowledgeable, he went above and beyond to make us happy, feel comfortable and give us a special tour what we never forget and always remember. TOUR GUIDE RESPONSE: Gabriella, thank you for the great rating and review...I got "Chicken Skin". Great tour from very knowledgeable guide. We really enjoyed the day. TOUR GUIDE RESPONSE: Thanks Lawrence for the great rating and review. We had organised our tour with Laurence several months in advance, and emailed each other a lot about our requirements. Laurence always responded promptly and with great suggestions. We were met by Laurence on time at Hilo Airport, and the tour started immediately. It was incredible! Laurence's knowledge made it a truly interesting, educational and enjoyable experience. Not one minute was wasted, and we have left with some terrific memories. We would completely recommend Laurence for a Big Island tour. Laurence was waiting for us as we got off the ship. Laurence gave us an excellent tour of everything we wished to see around Hilo. His knowledge was absolutely excellent, answering every question we posed. He stopped at a roadside fruit seller, who let us try fruits new to us and the pineapple we bought was really succulent. I would recommend anyone travelling to Hilo who would like a tour led by local to contact Laurence, who will ensure where he can to tailor a tour to meet their needs. Beautiful side of Kona, Hilo was best experienced with a local. Lawrence was an excellent guide with endless knowledge of the plants, culture, and people. Loved it! He was awesome. We give him all 5's. He was timely and friendly and extremely knowledgeable. And flexible. Laurence is a great tour guide, we were a group of 26 visiting Hilo, he was very thoughtful to prepare drinks and meeting us at the airport. The one-day tour was absolutely fantastic with his lead, fully pack with attractions. If you are visiting Hawaii, he is the one you want to be with as the tour guide. Laurence and the tour out of Hilo was great. There was a bit of a mixup on the dock, not Laurence's fault, but recovery was easy. Had the situation involved a large number of people then it might have been a different story. Laurence took us to places we wanted to see, not the tourist dives. There were five people in our group, including Laurence, and at some places we visited we were the only people there. We swam at one of his favorite swimming spots and had lunch at one of his regular shops. Awesome day trip from Hilo to Kona. Laurence was great!!!! If you are looking for a guide that can tell you all about the plant life growing around you and perhaps sample a fruit or two, Laurence is your guy. He is enthusiastic, knowledgeable and will show you some amazing scenery along the Hamakua Coast. We enjoyed the drive, short hikes, waterfalls, Waipio Valley Lookout which is a "must see" and I even had a (believe it or not)"peanut butter and jelly" malasada. Tours By Locals is the way to go! TOUR GUIDE RESPONSE: Les, Mahalo for the great review! A hui hou, malama pono, & Aloha! Laurence took us on a tour that was beyond expectation. He took us to the sites that were similar to the VNP without the crowds. He brought us to lava tube sites, red roads, fresh water grotto's where we swam alone for over a half an hour, snorkeling at vacationland tide pools (you will not see this listed anywhere), and the beautiful lava cliffs. Laurence introduced us to the flowers, fruits and veggies, and countless other things. It was unbelievable. One of our favorite tours EVER! Laurence knows this land and really enjoys sharing it's Aloha the way YOU want to experience it. We snorkeled at areas that would blow your mind and sat in natural hot springs. We enjoyed the food and stories of the islands and the hospitality shown to us by Laurence was tremendous. THIS is the way to see Hilo! He communicated well with us regarding the scheduled tour, meeting location, time, etc. We had a wonderful experience with him during our trip to the Volcanoes National Park. Laurence was most informative and enjoyable as a guide. We would highly recommend him and the Tours by Locals group for a private tour - which is really the only way to go! (Mass groups of tourists crowded into a bus is awful!!!!!!!!. ) Thanks for making our personalized trip a pleasant one.